Site Description: The Alexander Mackenzie / Nuxalk - Carrier Grease Trail is a Historic route with which the help of local First Nations, led Mackenzie overland to the Pacific. The route had been used for generations of First Nations to transport Eulachon (a small fish) grease from the coast to First Nation communities inland. These were referred to as grease trails. 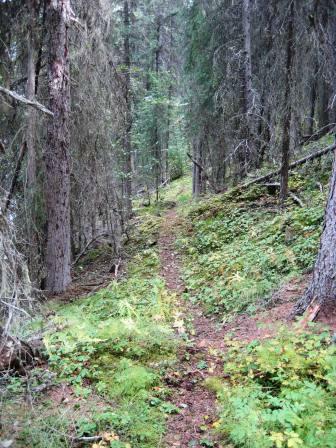 Portions of the original foot path are still in use, while much of the trail has been converted to Wagon Roads to access reserves along the route. Driving Directions: From Quesnel, head West on the Nazko Road, at Bouchie Lake turn right onto the Blackwater Road, stay North on the Blackwater towards Prince George, turn right onto the Tako and follow this to the new trail head location (27km), from the trailhead you can hike down to the Fraser River or continue West on the trail, all the way to the Pacific Ocean. 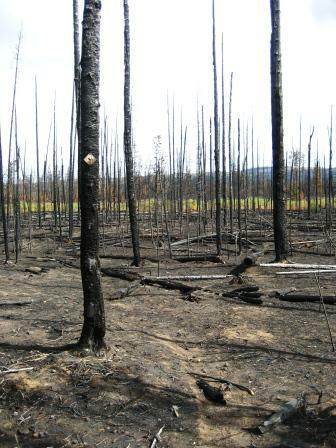 Due to recent Wildfire the forest amongst sections of the AMHT is highly unstable. Trees and Branches are subject to break and fall with little or no warning. Use at your own risk. 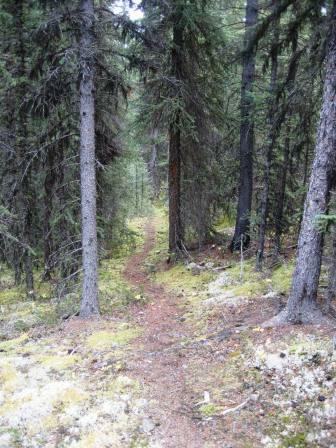 Fire has impacted the trail from 107km -114km & 131km - 146km approx. Burn severity may vary.